They can be placed just about anywhere outside you home and they come in all shapes and sizes. 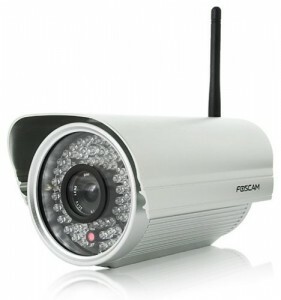 Wired or wireless outdoor security cameras are a means of keeping a watchful eye out on what goes on outside your home or office, when you’re not there to see for yourself. 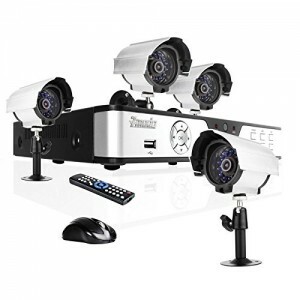 You can comfortably sit back and see what’s going on outside with the help of a Digital Video Recorder (DVR) and a computer or a monitor, which transmits all the feeds from different cameras into one central location. 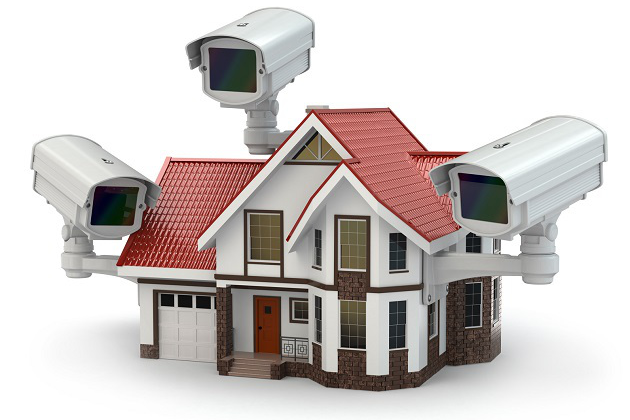 What’s great about outdoor security cameras is the fact that they can easily be linked up to your existing home security systems, which just gives you that added sense of security with 24 hour monitoring services. 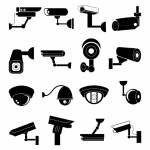 In essence, outdoor security cameras allow you to get solid proof of any fishy activities that go down outside the building, and these days some cameras even have remote surveillance technology which allows you to view the feed right on your smartphone or tablet. What makes an outdoor camera different from an indoor camera? 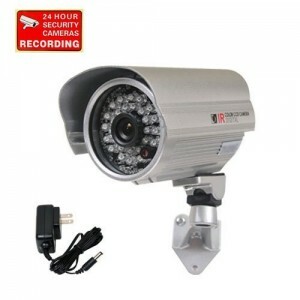 There are many similarities between the two, but outdoor security cameras are designed with larger a viewing angle, which makes it easier to cover a wider area for surveillance. Most outdoor cameras also come equipped with night vision, which is typically the time, that most suspicious activity take place. Furthermore, they are also all waterproof and weather resistant with rugged external housings. 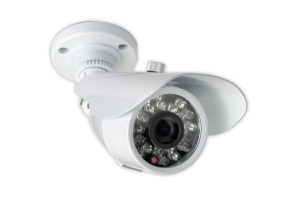 These cameras rely on closed circuit television (CCTV) software. 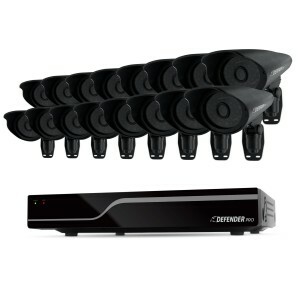 They get connected to a DVR and receive the feed through the camera lens. From there the video gets compressed and stored onto a hard drive which you can then use for reference at any time. 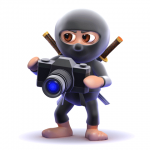 IP cameras, as they are also referred to, are essentially far more advanced than the Analog cameras, and you’ll feel in in your pocket as well. With Network Surveillance Cameras, you don’t have to make use of a separate DVR, because the camera already has those functions built-in. It automatically captures the images, compresses and converts it into digital format, which is then streamed over the internet. Some of them also come with SD card capabilities, which means you’ll be able to store the footage straight onto the card. Essentially with IP cameras you’ll get high resolution imaging, but you’ll need some serious bandwidth and storage space to make use of its full features. Their cameras are reputable for their zooming capabilities, anti-glare features, the high quality footage they take and the day and night modes that gives you flexibility as to how you want to record footage. With their impressive options for outdoor security cameras such as Wide Angle Lenses, Adjustable Mounting Brackets and Infrared Technology, VideoSecu is another leading brand of outdoor security cameras that you can rely on. 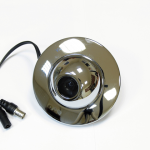 They have been around since 1987 and have been delivering exceptional quality outdoor cameras ever since. The Australian based company is renowned for their CCD sensors, Infrared Technology, the fact that their products are super easy to install and the fact that their products are designed to resist extreme weather. These are probably the ultimate D.Y.I (and might we mention most affordable), hassle free outdoor cameras on the market today. Defender’s range of cameras all offer color capabilities, make use of energy saving technology, are small and streamline (which is great if you want to conceal the camera) and makes use of the minimal wiring. Most of you have probably heard of this Swiss company, and is with good reason. They have been in the business of producing top quality cameras since 1981 and distribute their products to over 100 countries. 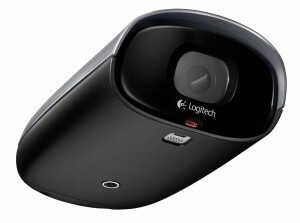 Some of the best known aspects of their outdoor cameras include their ability to capture images on motion detection basis, the security feed through computers and smart phones and their 130 degree wide angle lenses. 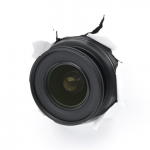 The guys over at Foscam really try and bring you the best quality cameras at the most competitive prices. 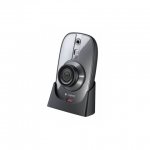 Their cameras are well known for their wide viewing angles, the fact that you can view the feed remotely via internet and the fact that they are smartphone compatible. 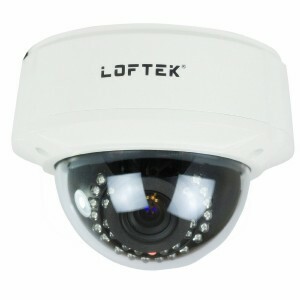 The cameras from Loftek are ideal for consumers who want high quality that is built to withstand weather conditions and also has the added perks of being able to record during the day as well as seriously dark conditions. Their cameras are available in either wire or wired models and their wide angle lenses have you covered far beyond what you imagined. 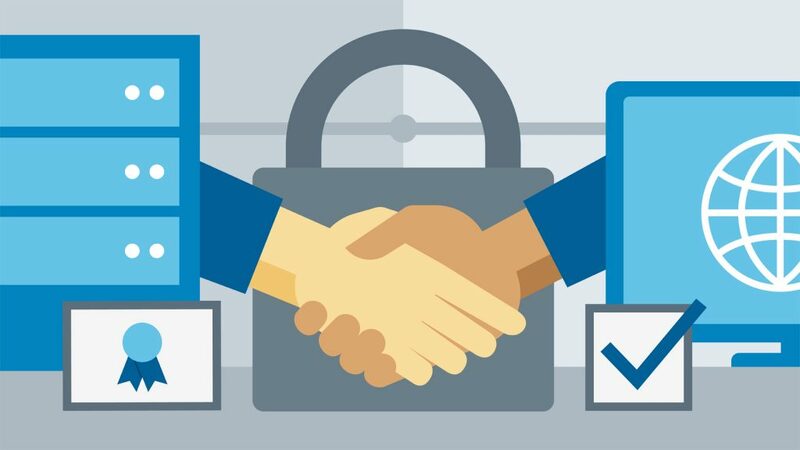 Zmodo is all about security products. 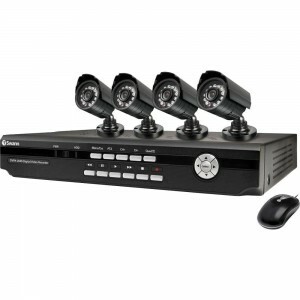 They bring you innovative cameras, DVR’s, surveillance systems and intelligent management systems. What we love about their outdoor cameras is the fact that they use multi-channel systems, can be operated remotely via your PC or Smartphone, bears advanced motion detection recording features and are extremely durable. 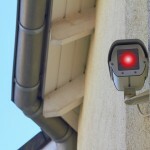 Armed with this info, you should be a little more familiar with the different types of outdoor security cameras out there, as well as which ones could work best for you. When you do make a choice, make sure that the one you opted for has great customer service included in the warranty and you can rest assured that help is always just a phone call away.